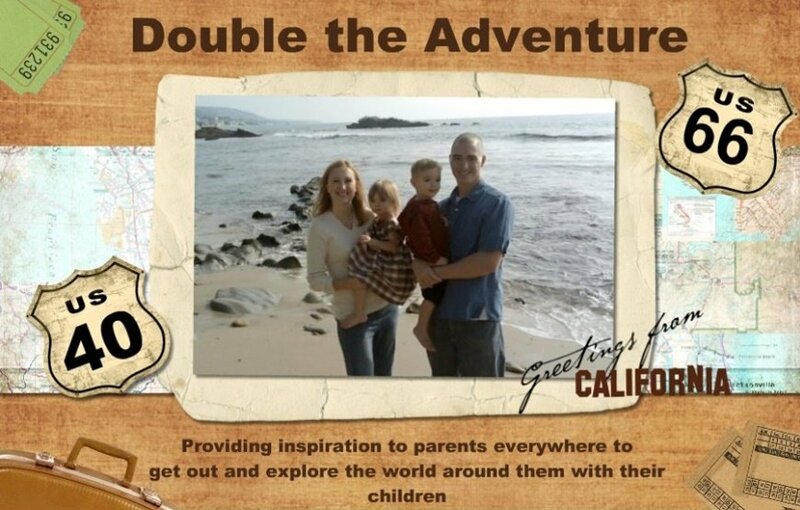 DOUBLE THE ADVENTURE: Bounce baby bounce! Yesterday Mari, Ben, and I got to hang out with one of our twin family partners in crime. Lisa, Bree, and Luke were in town for the week so we decided to meet up and bounce! 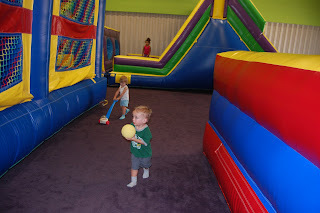 There is a great bounce place near my old neighborhood called The Bounce Spot that we decided to jump (yes I am that cheesy) on over to. 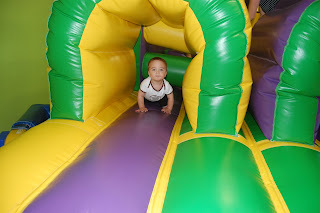 Why do I love indoor bounce places? They are great escapes from the heat, the rain, or the smoke. 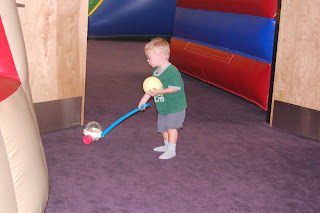 They have equipment for both little ones and older kids. They are fun for adults too! Now normally I would get my bounce on but the night before I ran into a wall and broke my little toe. Yes, I am a major klutz. 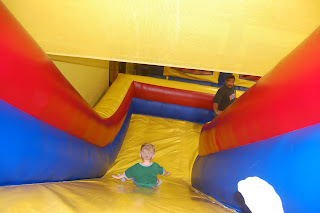 Considering the state of my toe I figured bouncing wouldn't feel too good. The kids didn't seem to mind though. 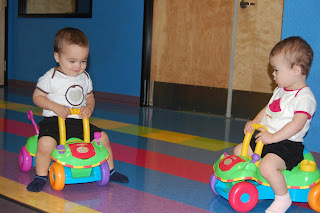 They had a blast running, jumping, riding little cars, playing with balls, and interacting. Lisa's kids are 5 months younger and still actually care about hanging with mom so I mostly stuck to playing with them while my kids ran wild. Every once in a while I would check to make sure they were still alive and having fun but for the most part they were happy playing amongst the others. I did get wrangled into climbing up to the top of the slide with Ben so he could go down (he can't do it himself yet)which is really fun with a broken toe. One time we went down and I got a quicker start than Ben so I was going down ahead of him. I tried to let go of his hand but he wouldn't budge so he did a rad front flip down the slide. I applauded his performance in order to avoid the meltdown. He wasn't thrilled with the experience but was grateful to see his actions were appreciated. 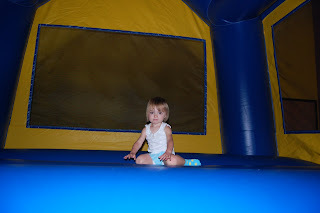 Mari was into jumping in the big kid bounce houses and maintaining her super cool persona. Those teenage years are going to be oh so fun. 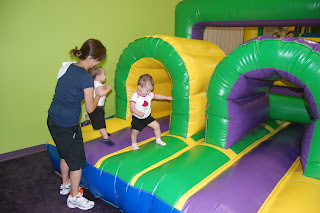 Luke and Bree warmed up to the whole bounce experience quite nicely and especially enjoyed when Mommy would hold their hands and bounce them super high. Indoor ounce places are sprouting up all over the country. 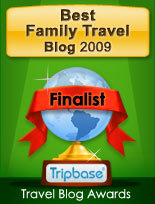 They are such great fun and a wonderful way to wear out the kids and get them some exercise. 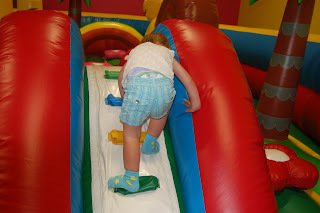 If you have older children they will love the bounce place just as much as the young ones. 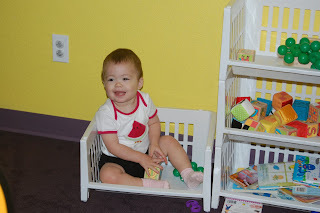 And if you have a child living inside you like I do, then you will have a blast as well. If you are looking to bounce then do a google search and see what you can find. There are many privately owned spots everywhere. Pump It Up is a chain that seems to have alot of locations as well. If you don't have any luck finding one I will be happy to help you. Just drop me a line. I look forward to hearing about your hopping good times. You are so so cheesey! I love it! Looks like a great time! all the babies look like they had a great time. We have a Pump it up here, but I haven't taken the babies yet. Looks like they had fun. Im not that brave though, Im a germ-a-phobe when it comes to places like that. How fun! You kiddos are growing so fast. I can't believe they are 5 months older than Bree & Luke. Morgan and Trinity are a week older than B&L. We love our play dates with Lisa, Bree & Luke. Give them hugs from us! Boo-hoo, I want to go on a playdate with you guys. Glad you had a fun time! I can't get over how big they all are!!!! Looks like so much fun! Nothing cool like that around here! dang it! Lisa's kids are so cute on the little riding toys... looked like Ben and Mari had a hopping good time as well! Awww, I'm so jealous, I so shoulda made a trek up there with the kids just to hang out with you gals. So much fun.